Well most of us fear the police, scared to involve police in any matters, worry about their social status if police gets involved. Most movies have showed us the dark side of our policeman. Especially in North India people fear the police, as they are more prone to violence and riots. The below picture show the softer side of our policeman. 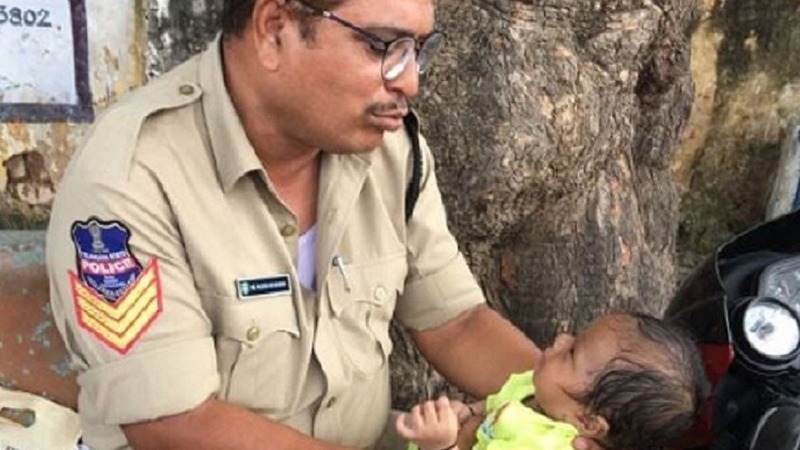 The police chief from the district of Mahbubnagar shared a picture of a constable consoling a crying baby whose mother is writing an exam. The policeman you see is Head constable officer Mujeeb Ur Rehman who was deployed at an examination centre in Mahbubnagar.